Auckland Mayor Len Brown's set out his economic strategy for the city, which includes attracting more international investment, more migrants and public-private partnerships. In a "state of Auckland" speech titled: "Transforming Auckland’s Economy" to the Greater East Tamaki Business Association today, Brown said Auckland needed to attract international investment and talent "on a much bigger scale than we have in the past". He laid out five major strategies for pushing the Auckland economy - and this included another plug for getting the Government to agree to bringing a start on the proposed city rail link (CRL) brought forward to 2016. Brown said Auckland had achieved great international recognition for high liveability, but now needed to back it up "with much greater openness to business and investment". He said a new international development office, part of council offshoot Auckland Tourism, Events and Economic Development (ATEED) was "now open for businesses and will soon be making it’s mark". The role of this office was to "oversee the packaging of Auckland’s major investment opportunities into a single living prospectus and investment bureau for on-shore and off-shore investors". Initially, the investment office would be offering opportunities for investment in large Auckland and council controlled organisation projects. "This service will then be offered in partnership to owners of other large projects, such as NZTA, universities and the private sector." The second step being taken this year "towards transforming Auckland’s economy", was to to "actively promote Auckland to the international migrant market". "International research tells us that liveability is the biggest driver of migration. As Auckland becomes an increasingly liveable city the potential provided by international migration as an economic development tool multiplies," Brown said. "That’s why I want us to develop a promotional campaign, actively informed by the work of a commercial private sector advisory group. This will complement the fantastic visitor marketing campaign ATEED is beginning to rollout, along with the launch of a Visitor Plan Mark II." The third leg of the strategy involved building a reputation as a modern, wired city. Brown said there had been "too many excuses and delays in rolling out ultra-fast broadband and providing decent Wi-Fi". "Auckland Council will be developing a Digital Auckland – Kick Start programme so we are playing an active role in picking up the pace in this area. My intention is that this will include working with business partners to roll out free Wi-Fi in public places and public transport and finding commercial partners to help expedite the rollout of ultrafast broadband." The fourth part of the strategy was that Auckland needed to begin to make public private partnerships "part of how we deliver large scale projects", Brown said. "At the end of last year the council and I agreed a way forward for the SkyPath project – a walk and cycle-way across Auckland’s harbour bridge. The SkyPath will be Auckland’s first PPP, and will eventually enable a great vision – a cycle and walking path stretching from St Heliers to Devonport. "This will act as a real game changer for building pedestrian and cycleways around our city. This is a chance to cut our teeth on PPPs and show that we can deliver real value for money and better outcomes for ratepayers." PPPs were "not a free ticket to be clipped by the private sector", he said. "We need to use our considerable scale and position to nail down the best possible deals for Aucklanders, learning the lessons from international experience and retaining public ownership. Beyond the SkyPath, there will be major opportunities for transport projects, including the CRL, better waste management and other major transport projects." The fifth part of the strategy was that Auckland needed to start building the CRL in 2016, Brown said. "The clearest message from Aucklanders in the past three years is that we need to get our transport problems fixed once and for all. Auckland has suffered from decades of under-investment in public transport and a lack of joined-up planning. "We are only now beginning to put in place the foundations of a world-class public transport system. Last year the government agreed to back the City Rail Link project (CRL) – this will be the central plank of our work to improve Auckland’s transport network. "The CRL will double the capacity of Auckland’s rail network - offering twice as many train journeys and passengers across the entire rail network and trains at most stations every 5-10 minutes at peak." Brown said he welcomed the government’s backing for the CRL. "...But the fact is their proposed start date of 2020 is too long for Auckland to wait." Without the CRL, by 2021 Auckland’s bus network would have reached capacity, and speeds on city roads would have "dropped to a creeping 7km per hour during peak time". "I have taken my proposal for an early start to Prime Minister John Key and begun what I am confident will be productive discussions with the government this year. The PM has asked the government to look at the proposal." Let me get this right , Brown wants more migrants , but the City cannot grow beyond the existing city boundries ? Where are we going to house thse people? He also will not allow the expansion of the existing overcrowded roads , and wants everyone on the bus or train . He is clueless and locked into growth......a dinosaur. But Auckland is growing and will almost certainly continue to do so, surely you can see that? Boatman, you are absolutely right about the insanity of these comments. And the worst thing is, young families locked out of home ownership in Auckland have no affordable cities of comparable size in New Zealand to migrate to, unlike those in the US. Hamilton should be offering itself as an affordable alternative for families and businesses but I fear its council will fall for the 'compact city' lunacy as well. Lenny just wants more popele from far East so he has more choices. Surely copying the example of sprawling cities that are awful places to live is lunacy? Surely building more houses at the end of an already packed motorway is lunacy? Plenty of room to house these people, just have to make some areas higher density. Look at ponsonby for example, high density, small sections, and one of the most sort after places to live. Not all people want big houses on big sections, a lot of people would prefer higher density if it means having shops, cafes, schools, parks, etc within walking distance instead of driving distance. Why would you expand the roads, Auckland already has one of the best roading systems in the world per capita and it is still packed. Most of the bang for buck improvements have been done, the only way to make a significant difference is to get people off the roads and onto public transport. Our public transport system is inadequate whareas our road system is more than adequate - so stop spending on roads and start spending on public transport. Let me quess Boatman: you are a baby boomer, stuck in an old school mindset of driving everywhere including the local dairy, and you think the New Zealand lifestyle is the best in the world even though you have never lived anywhere else in your life. Correct? No need to get personal mate, but you are wrong on so many levels . FYI , I walk or cycle to the dairy , and excersize every day. I am a Baby -boomer , but have lived and worked longer outside NZ than I have in NZ . I am a partner in a Professional Practice in Auckland . I have worked for International banks in 4 countries. I have a Post Grad Degree from Universtiy of Wales ( Cardiff) and am a Chartered Fellow a Professional body . We started a family quite late so have kids from the age of 12 to adulthood . I dont think NZ is perfect , but if you can show me a better place to live and work I would like to see it . I trust you've been to LA? Such a sprawling city with really great roads, must be paradise. With all that sprawl I trust that it is really cheap too. I'm not sure I can show you a better place to live and work, but we could make Auckland a better place with closer shops that you can walk to and better cycling and public transport infrustructure. I don't think even wider roads will make it better. How about describing what he and friends intend Auckland to be in 5, 10 and 15yr time spans. One thing about Len is that he can pronounce anything, but he lacks the knowledge of 'how to do it'. It is called 'leadership by shouting about it". I am surprised to learn that no one has analysed the effects of the Fletcher Building sale of the Pacific Steel operation to Bluescope's NZ Steel. The closure of Auckland's largest electricity consumer (furnace and billet caster) will mean Auckland having increased electriciy charges from late 2015. Transpower have constructed a large transmission link to Auckland, that will be under utlitised. Do you really wish to set up business in a high cost environment - high electricity costs, high rates (paying for the CRL), high accomodation costs (planning bungles) and a Mayor who states that he will not allow private groups to clip the tickets on his PPPs. 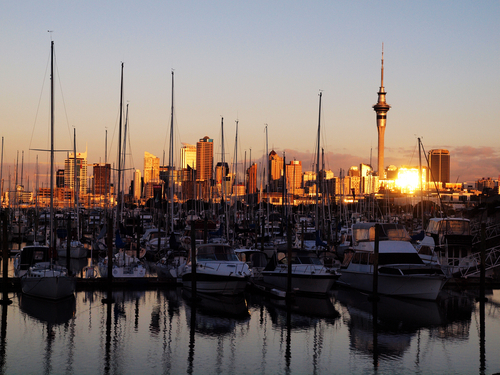 There are more attractive locations for business in NZ, that are much more desirable to live than Auckland. So cycle and walk ways for the rich suburbs. Methinks Len forgets his voter base is out here in South Auckland, where cars are not affordable options for many. One walkway here is blocked by a corporation using it to store their roadway equipment. No joy from Council on the problem. Several lost votes for OUR Mayor. Do you expect the Mayor to personally attend to every blocked walkway? Bit much to expect isn't it? Giving up a luncheon or 3 to tend the garden that supplies the food. Yes that is in the realm of my thinking. Len needs more people to pander to his predilictions. A growth policy, spending income, before it is made, is any public servants dream policy, particularly Lens. But often a nightmare for the intended victims. A leveraging of rates income, over and above the previous years income, can only be described as inflationary to any business, but that will come out of supposed growth, not substantiated growth for each and every ratepayer involved. Lucky old Len can be forgiven for his trepasses, but us poor citizens must cough up for his transgressions. When corruption of ideals, meets vested interests, expect your interest rates and taxes to increase. When houses and businesses are involved, they think it is always a bottom less pit. No matter how it is done, some win, some lose and other just get the Bill, but the Mayoral royalties keep on flowing. He will want a crown next. His highness should get with reality, so should most of these other high faluting spendthrifts, who think the gravy boat is endless. If I cannot meet his expectations, or the governments, the bailiffs will come in. Well he and his ilk have never met mine, so why is he still presiding, residing and screwing up our lives and acting like there is nothing wrong, because there damn well is. As per his reception at the latest fiasco he lauded over. Public opinion is changing. But his , has not! ?, I ask you, is this right or wrong?. Jaffas are sweet, when things go right, but doing wrong, they soon turn nasty. Leaving a bad taste, that was obvious to start with to me, and why he is sucking up to the others we cannot mention. What a plonker. Yes this reads like a solution looking for a problem. He should resign so my prediction comes true. Here is another problem, looking for a solution. Bendon should cotton on to this. Len should be their sponsor, he could raise the capital from his rate-payers, but do not quote me on quite why. My missus wants some new underwear, but it would take two beach umbrellas and a hammock. But do not quote me on that, either. Wow - what a woeful display of NIMBYism here today. Should we prefer a mayor who sits on his hands? - if so lets bring Mills, Fletcher, Hubbard or Banks back. Chairman Moa - really? yet more silly personal vitriol directed to the Mayor - haven't you tired of this petty game yet. The adults are trying to discuss issues here so do try to keep the pettiness at home eh. Grounded Kiwi won't vote for the Mayor cos he personally hasn't removed a blockage in the street - oh boy there you go that seems to be the leader you folks want. Henry Tull - have you been asleep or are you having a laugh? You ask of the Mayor what he intends AKL to be in 5, 10 and 15 years - serious? you aren't kidding? - Its called the Unitary Plan or the Auckland Plan. You don't have to like it but thats what it's called - perhaps you may want to educate yourself and do some reading beofore you spout off. I'd rather a Mayor who shouts from the rooftops and tries to drive a city forward as Brown does. Take a deep breath dude, and then go outside and play.. don't take life too seriously, you only got one. Unfortunately, I worked with this guy in the past and know his habbits! ...d'yer want Banksie or the cornflake king back ? The mayor of Auckland is a disgrace. If he were a Government Minister he would have been forced to resign. It is doubtful that he can stand the constant pressure & daily reminders even though refuses to resign & do the right thing. The future of Auckland lies in the hands of one man and that man is not Len Brown. For the foreseeable future Auckland will be defined by its motorway network putting Gerry Brownlee in the (ho ho) driving seat. Mayors really, really, truly are powerless except as far as they can use their networks and powers of persusion to get some positive outcomes for their place. To show how powerless they are this speech, as reported, is probably illegal in that much of it represents Len's personal views not those of the Council. Actually Len would be better off paying attention to all those little annoying things like blocked access ways etc. He would get way more mileage out of holding the council staff to account than he will out of this grandstanding. The fact that LB thinks this meanlingless charade is the best use of his time is a very bad sign. It could mean he has got no traction behind the scenes and has found himself to be a lame duck.